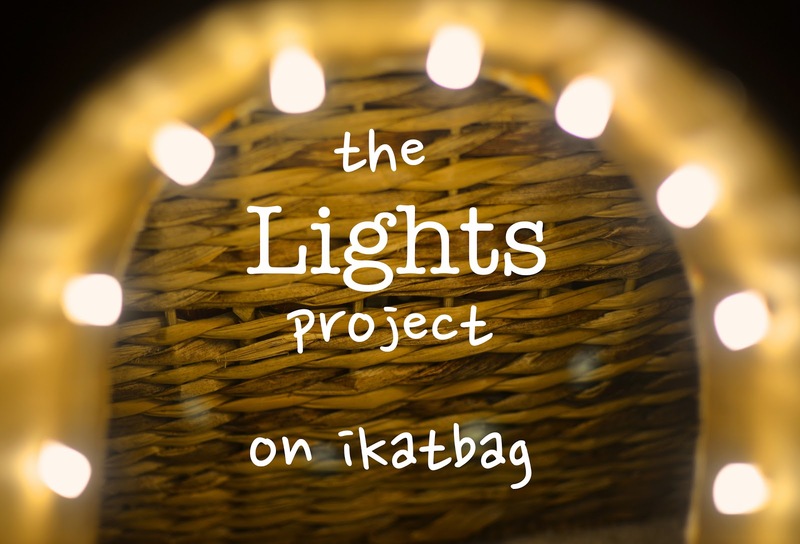 It's Day #2 of The Lights Project! Today we are thrilled to welcome MaryAnne! Mary Anne blogs at mama smiles and loves spending time learning and creating with her three kids, aged 5, 4, and 2. 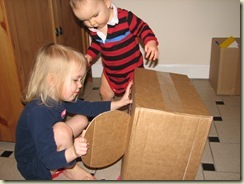 Her love of cardboard dates back to the many moving boxes acquired by her family, since her parents moved their ten children to a new country every 2-4 years. Now that she and her husband are pretty well settled in Massachusetts, she takes whatever cardboard she can find! 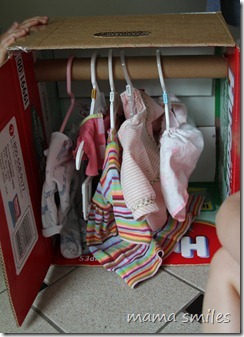 Check out their cardboard astronaut helmet and rocketship, washer and doll armoire! 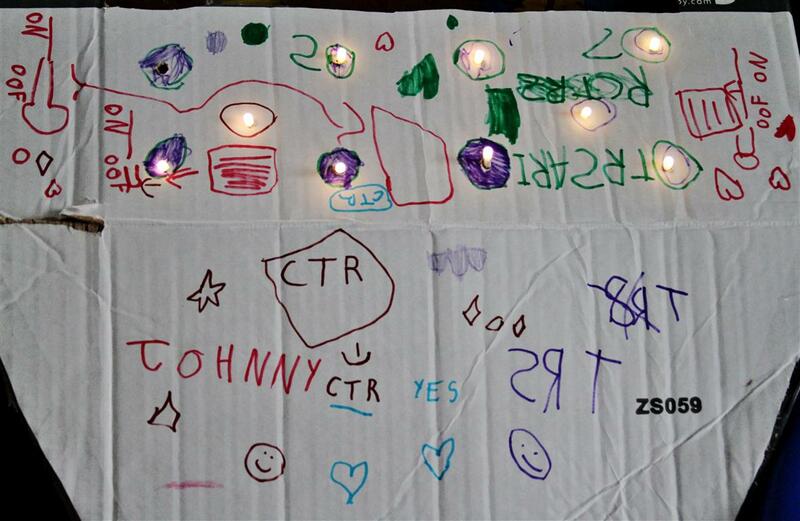 And here's a lovely post on her kids dabbling in electronics appreciation with their Dad. I enjoy MaryAnne's blog for so many reasons - her crafting and sewing, her writing, her beautiful photographs, her quiet grace and immense respect for fellow human beings, and her children! Perhaps my favorite regular segment on her blog is her "kid quotes" - a verbatim record of the hilarious things her kids say. I love how she enjoys her children! I love playing with cardboard! I also love seeing people incorporate electronics into their cardboard constructions (like this fully functional traffic light), but so far I’m too chicken to build my own circuits. So when LiEr offered me the challenge of doing something with a string of 10 LED lights from IKEA, I saw my chance! 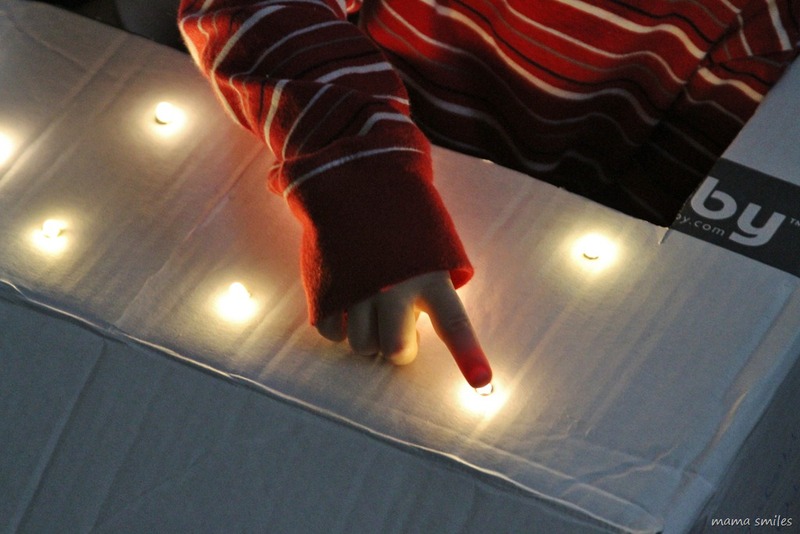 These lights are flat on top, which makes them perfect for push buttons! My kids are very into space at the moment, and Johnny had just gotten a pair of space-themed pajamas for his birthday. AND my brother had conveniently given me three very large cardboard boxes, one of which looked distinctly spaceship-like to me. I cut away, punched some holes for the lights to go through, taped the switch to the inside of the box, and we were good to go! 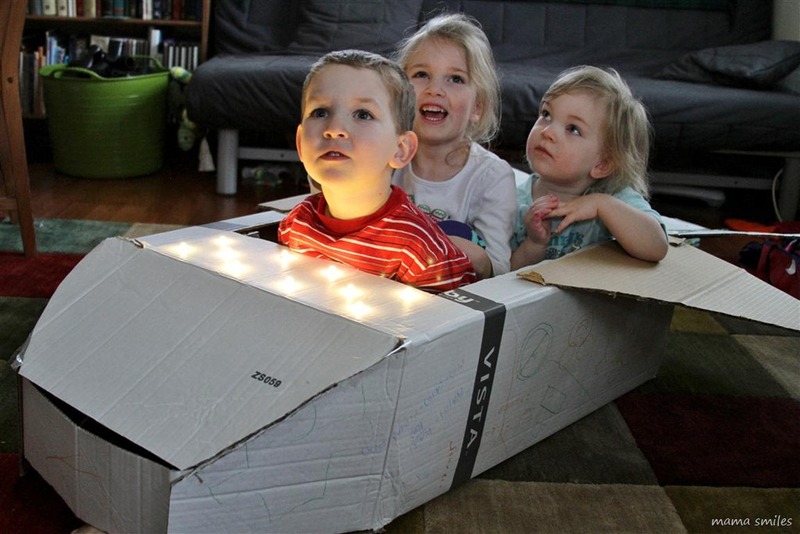 All three kids conveniently fit into this box! Here they are admiring the universe! 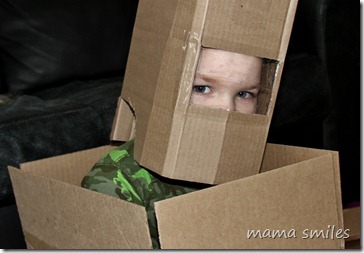 One of the best things about cardboard creations – besides the fact that you get to make them and they are free – is that they are super easy for kids to decorate. Our space shuttle gets a little bit fancier every day! 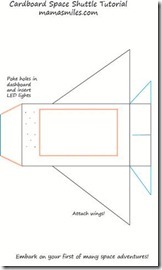 Want to build your own space shuttle? 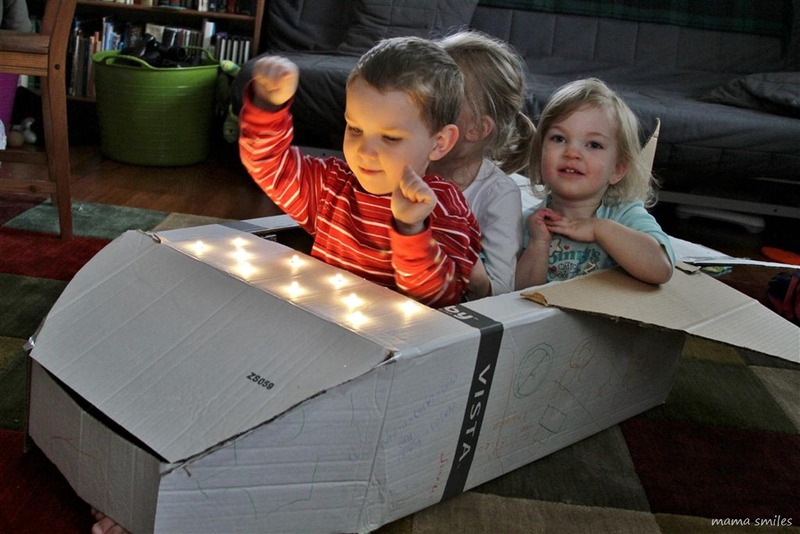 Grab a cardboard box and download this tutorial! Thank you, MaryAnne! And hurrah for your brother (and anyone who gives away cardboard boxes, especially boxes big enough for all the kids to climb into, really)! Awesome! See you back soon on Day#3! Yay!!! We had so much fun with this project! Thanks for the challenge and inspiration, LiEr! Love it! All three kids look like they are having so much fun... particularly Johnny at the controls! How's this for a cardboard costume?